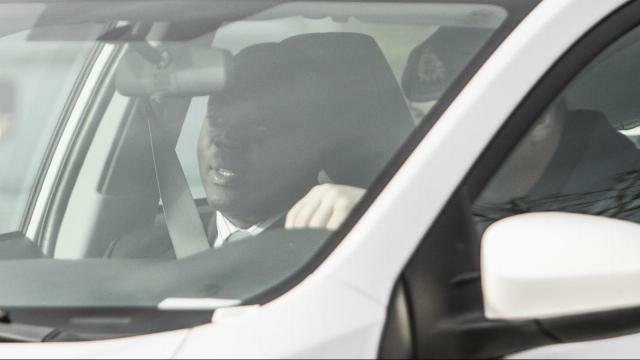 Nord Mensah has been found guilty of having an inappropriate relationship with a subordinate, after engaging in a sexual relationship with a woman directly under his supervision in 2015. The former CFB Esquimalt base logistics officer received a severe reprimand and a $2,500 fine payable in $500 instalments over five months. Mensah was silent while the judgement was read after pleading guilty to the charge of conduct to the prejudice of good order and discipline. The other two charges he faced – disgraceful conduct, and conduct to the prejudice of good order and discipline for not reporting the relationship – were dropped, following a joint submission. The infractions were reported to have taken place between between Aug. 13 and Sept. 5, 2015. Mensah, who is married with five children, did not report the relationship as is required under the National Defence Act. “In the military context we want to ensure there is no adverse personal relationships within a unit to ensure the morale and cohesion within the unit remains strong,” Torani continued. Mensah first joined the navy in 2000 and sailed on HMCS Ottawa and Vancouver. He served as the fleet logistics operations officer for Canadian Fleet Pacific, senior fleet logistics officer for Canadian Fleet Atlantic, sea training logistics officer in both the Pacific and Atlantic fleets, Canadian Special Operation Forces Command logistics operations officer, and special operations forward logistics Officer with JTF-2.